John Thor Ewing will attend the Nashville Gathering! 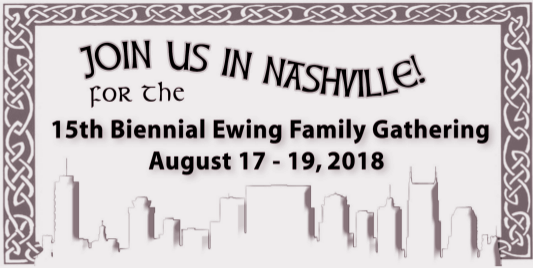 An author and historian, Thor will travel with us to the sites founded by early Ewing settlers in Davidson County, Tennessee, and Logan County, Kentucky. Welcome back to America, Thor! We recommend that you register online via the online Registration Web Page. If you are more comfortable with a paper process, you may print out the Registration (pdf), enter your data, and mail it with your payment according to the directions provided. The official venue for the Gathering is the Maxwell House Millenium Hotel, located at 2025 Rosa L. Parks Blvd., Nashville, TN 37228. You can make your reservation by calling (615) 313-3584. You can try the special Hotel website link for EFA. Or contact the main Hotel website. 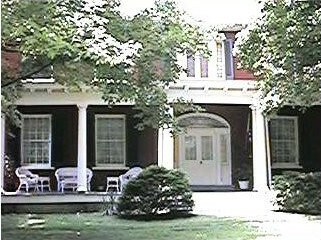 The Ewing Family Association is enjoying a special rate of $135 per night for up to 3 people. A fourth person can stay for an additional $10 per night. When registering, be sure to state that you are attending the Ewing Family Association Gathering. Parking at the hotel is free. We will be travelling around Nashville and north into Kentucky. You should be prepared to rent a vehicle if you fly into Nashville. Ride-sharing may be possible. There are shuttles to and from the airport and the downtown area. Historic Woodlon Hall, City Cemetery and The Hermitage (home of Scots-American President Andrew Jackson) are three sites to which we will travel. On Sunday morning, after hotel check-out, we will drive to Logan County, Kentucky, to visit the Red River Meeting House site. This historic site is the home of the Cumberland Presbyterian Church and site of the Second Great Awakening conducted in part by Rev. Finis Ewing. 1:30 p.m. 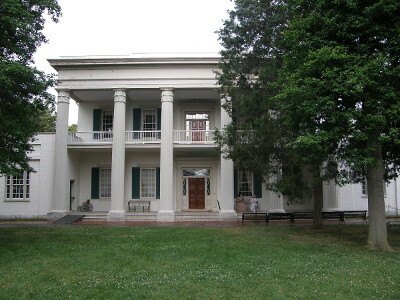 The Hermitage (home of Andrew Jackson) ... Ticket included in your Registration fee. Interpreter-led tour of mansion; self-guided audio tour of gardens. Visitor center and gift shop.